It’s been a while since I’ve used a phone with such wildly different personalities living in the same device, but here were are. On the outside, the LG G8 features a fantastically sleek and minimalist design as good or better than other phones on the market. 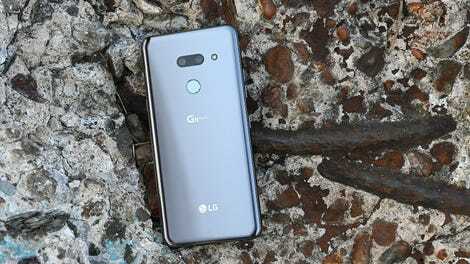 But on the inside, the G8 dreams of being a technological wizard, combining high-end specs and components with some truly out there features that even LG’s biggest rivals don’t have. It’s a story of a model with futuristic good looks, but with the mind of a mad scientist. And while the former tends to win out, I can’t help but appreciate the latter’s ambition. The word sleek doesn’t even really do the G8 justice. From its subtly rounded sides where glass gives way to metal with just the slightest suggestion of a seam, to its completely flush cameras in back, the G8 feels polished and refined in a way that makes phones with camera bumps look like unfinished prototypes. There’s practically not a single sharp edge on the entire device, with the biggest things breaking up the G8's silky facade being the buttons on either side of the device. In a lot of ways, the G8's design reminds me of the Essential Phone’s chassis, which I mean as a compliment, as that was the best thing about that entire device. But LG didn’t stop there, because to drive home the G8's minimalist vibes, LG got rid of the G8's earpiece and replaced it with something the company is calling Crystal Sound tech. 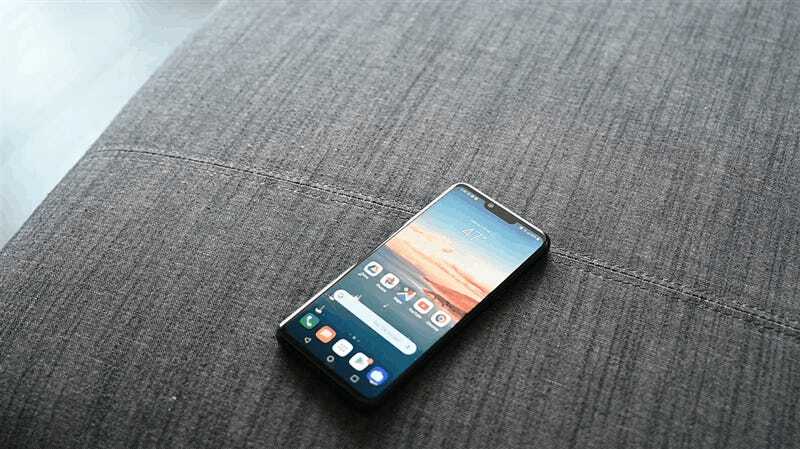 Basically, that means instead of a tiny speaker up top, the G8 uses piezoelectric motors that vibrate the phone’s lovely 6.1-inch OLED screen, essentially turning the display itself into a speaker. It’s a neat trick that makes audio seem to emanate from the top half of the phone (both front and back), while a standard speaker on the bottom of the device helps out to deliver full stereo audio. While it sounds a bit silly, it works and even produces a lot of volume. That said, the G8's audio does tend to sound a bit flat, although considering the kind of sound that comes out of most smartphone speakers, it’s hard to get real worked up about that. The G8's Crystal Sound tech also comes with a side bonus that when talking on the phone normally with the device pressed up against the side of your face, the vibrating screen functions similarly to bone-conducting headphones. You might have to move the phone around a bit to get that aspect of Crystal Sound’s abilities to work right for you, but In loud or crowded environments, that means hearing someone on the other end of the line while using the G8 can be a bit easier compared to other phones. Now I know making and receiving calls is no longer the primary role of smartphones, but for people who do talk on their phones a lot, it’s a nice little extra. And unlike some of its other competition, the G8 doesn’t include a punch-hole selfie cam or an in-display fingerprint reader, which is honestly kind of refreshing. Instead, you get a notch up top (which can be masked to hide the cutout if you like), and a fingerprint sensor on the back. Simple and easy. Meanwhile on the inside, the G8 sports Android 9, a blazing fast Qualcomm Snapdragon 855 chip, and 6GB of RAM, with LG also doubling the phone’s base storage for 2019 to 128GB. LG also didn’t skimp on what are quickly becoming legacy extras either, which means you get a microSD card slot for extra storage and a headphone jack. The G8's battery life is also praiseworthy, as it lasted 12 hours and 21 minutes in our video rundown test. While that is about an hour short of the Galaxy S10's time of 13:21, it would still take some serious effort to drain the G8 in less than a day, and it’s a huge step up from the dismal 9:05 we saw on last year’s G7. All told, between its design, battery life, and core components, there’s no doubt the G8 offers a premium experience. As on previous LG phones, the G8 includes a dedicated Google Assistant button below the two volume buttons. It’s a similar situation for the G8's cameras. In bright light, there are only small differences between the G8 and other flagship devices like the Galaxy S10 or Pixel 3. Sometimes, if you’re pixel peeping, you’ll notice that a shot from a Pixel 3 will contain a tiny bit more detail, while in others, there will be some differences in white balance, but that’s about it. In low-light though, that gap widens a bit, because even though the G8 has its own version of Night Sight called Night View mode, it’s not nearly as powerful as Google’s solution. The one added benefit to LG’s Night View is that unlike Night Sight, it offers a slider tool that lets you adjust how strong its low-light processing gets. However, even when I turned the slider up to 75 percent and took two shots back-to-back (one with Night View on, and one with it off), it’s clear the G8's low-light magic has a lower ceiling. In back, the G8 can also shoot portrait style videos in addition to regular portrait photos, including the power to adjust the depth of field mid-recording. But in my experience, the effect was often hit or miss. Sometimes backgrounds would look soft and blurry as you’d expect, while other times, it seemed like the effect didn’t work at all. Aside from some minor differences in color and white balance, the difference between the S10's and the G8's photos are quite minor. Though if you zoom into 100 percent, you can sometimes see that shots taken by a Pixel 3 can have a tiny bit more detail. Look at the tiny oil bubbles on the soup, or the flakes of pepper in the hot sauce. In this pic, I actually prefer the G8's pic slightly, as the Pixel 3's shot appears a bit over saturated. While I do prefer the G8's picture here due to its nice blues and clearer sky, overall that’s not as big of an advantage as the picture might make it seem. Same goes for the G8's secondary ultra wide-angle lens. Even with LG’s Night View mode turned up to 75 percent, there’s not that much of a difference in the G8's low-light photos. Meanwhile, a head-to-head comparison against Night Sight on the Pixel 3 shows you what a real night mode can do. Here, the LG’s Night View mode does a decent job of sharpening up the pic, but it still falls short of Google’s Night Sight. Here, without any special features turned on, photos from the G8 and S10+ came out looking quite similar. To me, the biggest shortcoming of the G8 photo taking capabilities is actually that it only comes with two cameras in the back instead of three. Triple rear cameras are quickly becoming a standard feature for flagship phones. Huawei and Samsung are already doing this, and it’s looking like Apple will hop on the triple camera trend later this year. But what’s really annoying is that LG knows this too, since LG also put three rear cams on a phone last year with the LG V40. 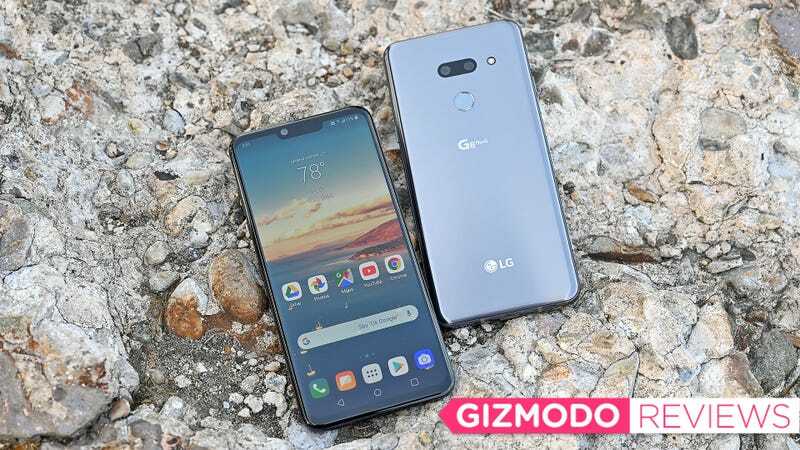 That puts the G8 in a bit of an awkward position, because while the G-series is still one of LG’s tentpole phones, it feels like it’s been forced to take a backseat to LG’s V-series handsets, which has eked out a slightly higher position within LG’s smartphone hierarchy. OK, now we come to the G8's wizardly features: its built-in palm recognition and Air Motion gesture controls. Both features are powered by LG’s “Z Camera,” which uses a 3D time-of-flight depth camera to do things like read the blood vessels in your hand, or track gestures you make in the air in front of the phone. The G8's palm recognition is relatively straightforward. You just hold our your hand above the phone’s front-facing camera, and the phone unlocks. Unfortunately, the speed of the G8's palm unlock even when it detects things correctly on the first try (which isn’t always the case), is still slower than face recognition and fingerprint recognition (both standalone and in-display readers). And if you take into account the relatively limited area where the phone can properly read your palm, even a numeric passcode or swipe pattern is typically faster as well. Then there are LG’s Air Motion Gestures. With them, you can dangle your hand in front or above the phone and open apps by sliding your hand left or right, capture screenshots by pinching your fingers together, adjust the volume of music or movies by twisting your hand left and right, and more. Unfortunately, the learning curve is quite steep, because even after nearly of week of using it, activating the feature and completing tasks never felt entirely smooth. Here, I used Air Motion to take a screenshot and open Google Play Music. Annoyingly, because Air Motion and LG’s shortcut gestures don’t play nice with each other right now, I can’t open the app and start playing a song without touching the phone at least once. You can use Air Motion to open apps, or use it to control music playback, but not both at the same time. But the bigger problem is that while you can customize Air Motion to open any two apps of your choice, that’s not enough. For me, I found the best use of Air Motion to be when I was sitting at my desk with the G8 facing me, propped up on a wireless charger. Positioned that way, I could somewhat easily open a music app, adjust volume, and play a song all without actually touching the phone. But what I really wanted to do was open the notification tray, snooze or dismiss alerts, and scroll through websites, all of which are beyond Air Motion at the moment. I don’t want to harp on these features too much, because it’s first-gen tech and LG says it’s looking to refine and improve its gesture recognition abilities in the future. Though at this point, some people might call out that Samsung tried something like this before with Air Gestures on the Galaxy S4, a feature Samsung quickly abandoned on later Galaxy devices. But like Air Gestures, Air Motion isn’t a failure because the idea is bad, it’s more because the tech and its possible uses still aren’t mature enough. In both cases, it’s a situation of an interesting concept with incomplete execution. Right now, Air Motion doesn’t add a ton of value to the G8, but given a little time, if Air Motion could be expanded into a more comprehensive control scheme that lets you full manipulate device without actually needing to touch it, suddenly the idea doesn’t seem too silly. In the $800 range, the G8 has a hard time matching up with the Pixel 3 or the Galaxy S10 feature for feature. But if you knock $200 off, it’s another story. Given the choice between a $620 G8 and even a $750 Galaxy S10e, I’d have a hard time shelling out an extra $130 for Samsung’s alternative. At that price, the G8 also becomes a welcome upgrade to something like the $580 OnePlus 6T. In a world where the G8 is the device that sits on the high side of the mid-range market, I like it a lot. But when it tries to take on more sophisticated devices closer to the $1,000 mark, despite its good looks, the G8's oddball antics don’t give it enough to compete. The G8's palm recognition and Air Motion gesture controls are neat, but not refined enough to be true device selling features. With a Qualcomm Snapdragon 855 chip, 6GB of RAM, and 128GB of base storage, the G8 comes with top tier specs. At $800, the G8 has a hard time competing with other high-priced Android flagship phones, but at closer to $600, it’s a solid (and very good looking) option. So try to find a deal if you can.